The MSA V-Gard helmet has the trademar "V" design and continues to be standard issue on many worksites around the world. This hard hat features superior top impact protection and a Fas-Trac III suspension, one of the most comfortable suspensions around. 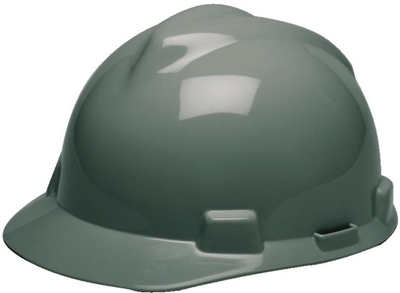 The hard hat is slotted and designed for many accessories made for the V-Gard hard hat. If you're around oil, gas & petrochemical, electrical utilities, construction or anywhere else that presents a danger to your noggin, then the high-quality durable V-Gard hard hat should be part of your daily wear.